To many Rick Springfield fans around the world, today is an international holiday. It’s Rick Springfield’s birthday and for those with a case of RS crush, Aug. 23 is right there on the calendar of the subconscious mind whether or not they actually celebrate it. For me, this crush recently resurfaced after reading his memoir, “Late, Late at Night.” I can’t really explain it but reading it reignited that connection (however one-sided it may be) that I felt I had with him so many years ago. Despite some of his admissions in the book that one might think would tarnish a pop star’s reputation, the effect it actually had was making him more of a real person and even more likable. Today, on his 65th birthday, I, along with thousands of other devoted fans, wish him a very happy birthday and wish for him many more happy and healthy years surrounded by love, family, good friends and continued success. Rick Springfield and Us: Wow, just wow. What a great resource for RS fans! 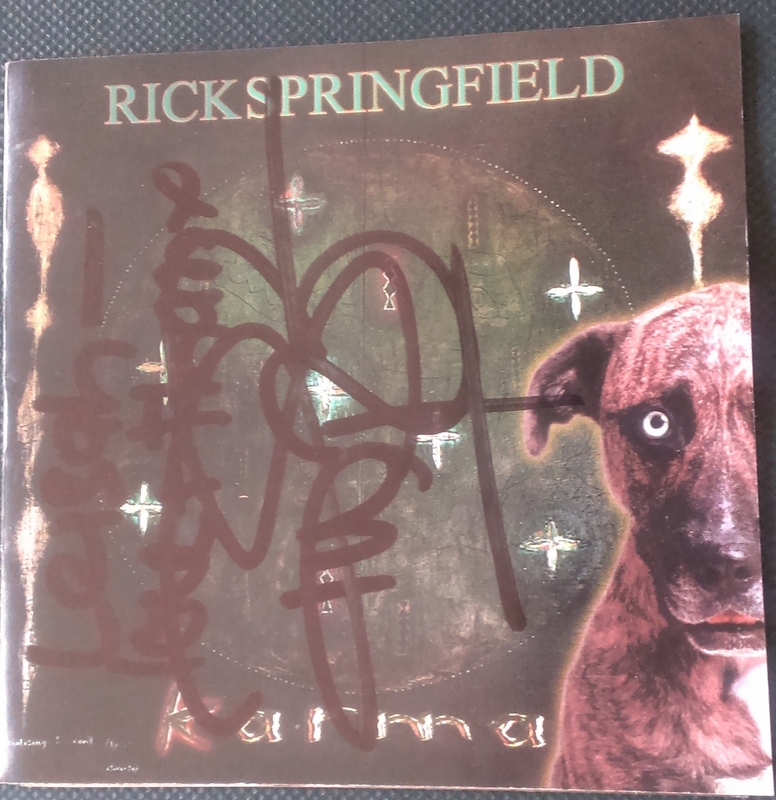 It all started here… Rick Springfield: Although the last blog post is from June 2013 (she said she had to move on because it ended up taking too much of her time), there’s a lot of fun stuff to read here. On the above blog, there’s a link in the Sept. 8, 2011 entry that links to the writings of a RS fan who wrote hilarious stories about him. 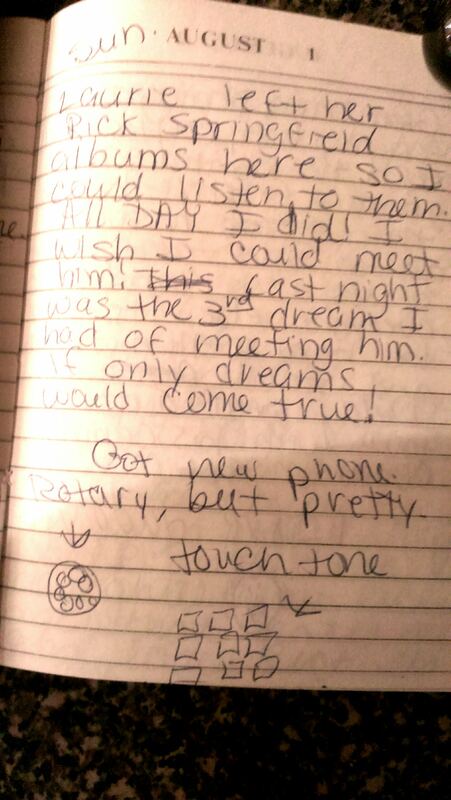 Marni O’Doherty was a 31-year-old RS fan who had posted a comment on a Yahoo! Rick Springfield board from her office in the World Trade Center on 9/11 moments before a plane crashed into the building. 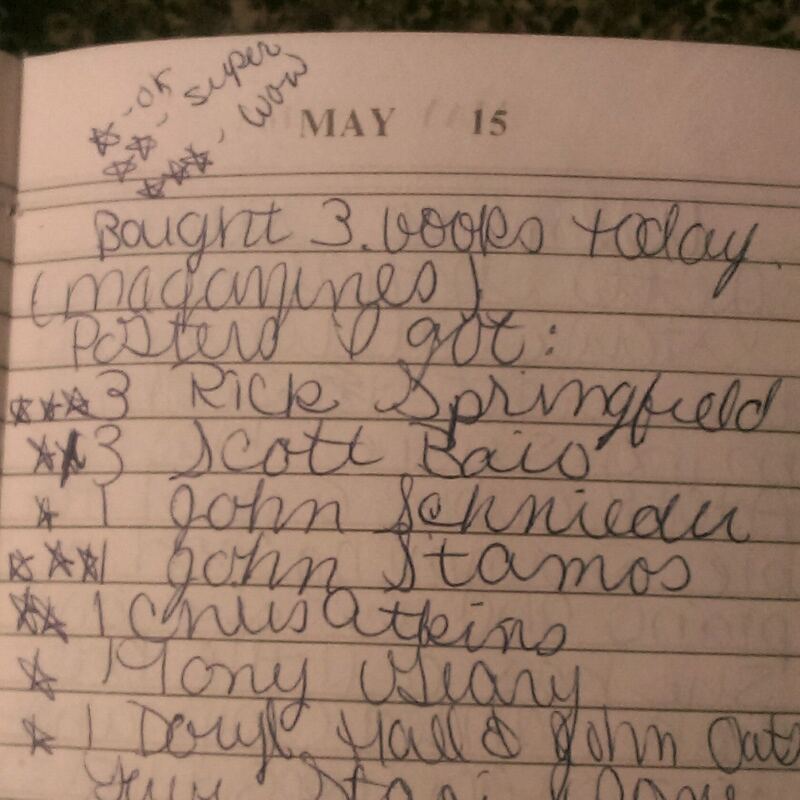 This story made it into Rick Springfield’s memoir. Reading her stories about meeting him, throwing him a thoughtful gift up on stage only to see it kicked under a keyboard, etc., it was sad to think that such someone who seemed like such a spirited, fun person was the victim of such a tragedy. Then of course there are the Rick Springfield fan Facebook pages and Twitter accounts and the hundreds of likes or comments every time RS posts anything on FB. RS fans seem like a good bunch. 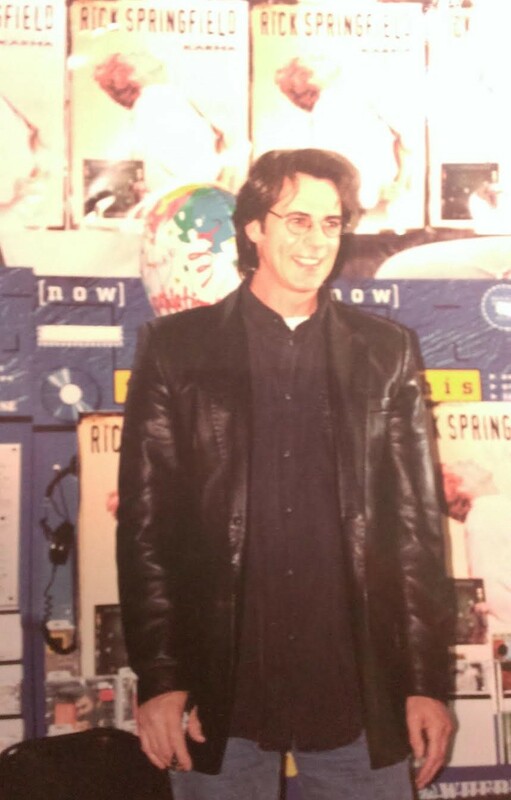 His birthday is coming up this week (yes, I admit that for the last three decades or so, whenever I hear the date Aug. 23, I think “That’s Rick Springfield’s birthday,” although I don’t usually say it out loud), his fans raise money for charity. Not bad company to be in. Once I learned that Rick Springfield wrote two books and was the subject of a documentary, signs of my inner teenager started to resurface. I put both books on hold at the library and went back to Googling so I could catch up. I was glad to hear that he’s been married to the same woman for all these years and happy to see the photos of him getting his star on the Hollywood Walk of Fame. “Late, Late at Night” was ready for me to pick up pretty quickly from the library (after all, most of his real fans have read it already since it’s four years old, I berated myself) and “Magnificent Vibration” still had a number of holds on it. I picked up the autobiography the day I found out it was available and basically let the kids play video games all weekend so I could read it. I read it with my phone nearby so I could check YouTube to watch videos of the different songs that he was writing about. I couldn’t find anything online already that provided a musical reference of the book so after I finished reading it, I felt compelled to create one. So in case anyone is looking, here’s the musical journey of “Late, Late at Night. Soon after I finished reading his autobiography, I found the “Affair of the Heart” documentary on Netflix on a weekend afternoon and started to watch it immediately. What fun these women must have had making it! I was amazed to learn that there were so many people that devoted to Rick Springfield. It was so nice to learn that the focus of so much of my energy over the years was really a kind, good-hearted guy. “Success Hasn’t Spoiled Me Yet” was around the time my infatuation with Rick Springfield began and I quickly caught up with “Working Class Dog.” Then came “Living In Oz” (“Souls” was one of my favorite songs from that album) and his movie, “Hard to Hold.” (Of course I saw it in the theater, probably right when it came out). After that, there was “Beautiful Feelings” and “Tao.” After that, I graduated high school, moved to Long Beach, California, and soon grew busy with school, work and my 20s. Although I never purchased “Rock of Life,” I would turn up the radio whenever a Rick Springfield song came on the radio and sing along.